The Invisible Edge is a book by Mark Blaxill and Ralph Eckardt, two Boston Consulting Group Economists, that tries to explain how Intellectual Property can be considered as assets that have very real effects on business valuations. Starting with an analysis of how materials and design can improve sports performance, the book argues that the Industrial Revolution would not have happened if James Watt had not had a patent on his steam engine design that enabled him to attract investment capital. The book makes a compelling argument that economic growth is fueled by intellectual property and that by considering patents and trademarks as expenses in the balance sheet and profit and loss account instead of as assets, Intellectual property is generally undervalued. This has a number of ramifications: CEOs tend to leave IP management and R and D to lawyers and scientists respectively, managing directly the relatively minor issues of production and the like. The authors compare this to the captain of a cruise ship busying himself with arranging the deck-chairs. It is true that understanding the economics of intellectual property is complicated. To contrast IP with tangible assets, the authors use the creative and useful analogy of digital as a pose to analog property. Like any property, the worth is what someone will pay. However, whereas the value of land and traditional commodities fluctuate in a continuous manner, the value of intellectual property is far more erratic, with court rulings, expiration of patents 20 years from filing, or changes in direction by the market resulting in the value of IP assets simply evaporating. That said, virtually all the real value in many industries, including entertainment, information, electronics and pharmaceuticals, is in intellectual property. Different IP strategies are presented and contrasted. Gillette is presented as an example of an innovative company that maintains its market position by continuous Research and Development backed by patents and registered designs. Qualcomm, on the other hand, is presented as a company that failed to compete in the market place, and was unable to manufacture in a cost-effective manner. Instead, the company withdrew and, instead of manufacturing, instead chose to develop IP and license their technology. By so doing, Qualcomm became a pure IP player and dominates the mobile phone market. A third company is contrasted, Proctor and Gamble. 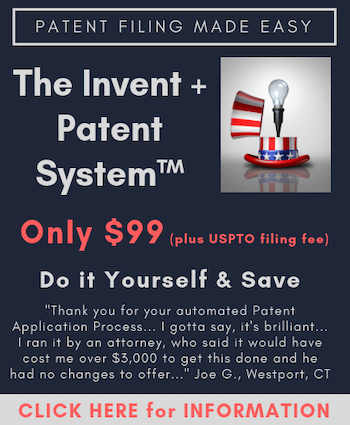 The manufacturing giant has made a strategic decision to license all patents to all comers including direct competitors. Why? Well by so doing, they ensure a price advantage to their product lines and profit from their competitors sales as well. In this light, the classic Video market is reexamined. Despite Sony losing the standard and having their Betamax video technology rendered obsolete by Pal VHS, the authors point out that Sony continued to make massive profits from the video market due to royalties generated by their patent portfolio. This contrasts nicely with IBM winning the PC standard battle against Apple, but losing the war due to not maintaining an effective IP edge, and thus losing out to Microsoft and Intel. All well known examples, but a different angle and different conclusions. Modern cars are assembled from parts manufactured by different suppliers. Toyota’s strategy of investing in suppliers and co-patenting with them is contrasted with General Motor’s linear approach, which was designed to keep prices as low as possible. The authors convincingly argue that the relative successes of the two companies reflect the differences in approach. Network theory is used to show relationships between patents and company, and to get a handle on an industry. Forward citations of patents are used, like citations of academic papers, as an indication of relevance and importance. The book argues that IP speculators, commonly known as trolls, lubricate the wheels of commerce. Whereas property rights is, since Coase’s work, widely recognized as the prerequisite for trading, as necessary to get maximum value from resources, it is necessary to convert the property into a tradable asset. By analogy to the real estate industry, a compelling argument for creating IP trading markets is presented. Dr. Michael Factor is a licensed Israel Patent Attorney with numerous professional affiliations including the IPA, the AEA and the AIPPI. Factor has a Ph.D. in Applied Physics from the Hebrew University of Jerusalem, an M.Eng. in Materials Science and Engineering from Imperial College, London, and an LL.B. from the Ono Academic College, Israel. Factor has very wide experience in drafting patent applications and representing clients before the local and international patent offices. Additionally, He has a blog, the IP Factor http://blog.ipfactor.co.il/ with several thousand hits a month, making it the most popular Israel IP resource.